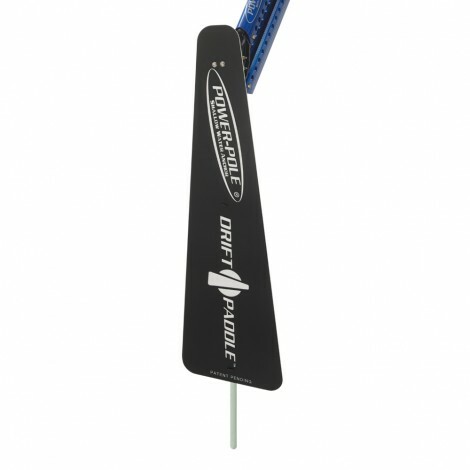 Drift like a pro with the deep-water control of the innovative Power-Pole Drift Paddle accessory. Slow your boat up to 50% so you can work that line with precision, then simply retract your Power-Pole anchor and motor back for another pass. Easily turn your bow for the perfect angle using the 7 quick-change locking positions. Crafted using a space-age polymer for drift control that is out of this world, the Power-Pole Drift Paddle let’s you dominate the deep. Compatible with 8 and 10 ft models, corrosion resistant mounting hardware included.